Pillard's Miniature Cattle "People who want mini rodeo bulls, little milk cows, their own beef or a neat pair of oxen, miniature cattle fit the bill." Toy Cattle "Toy cattle are minature cows raised to be docile and friendly pets. Ralph Sowers is a selective breeder of the Sundog toy cattle." 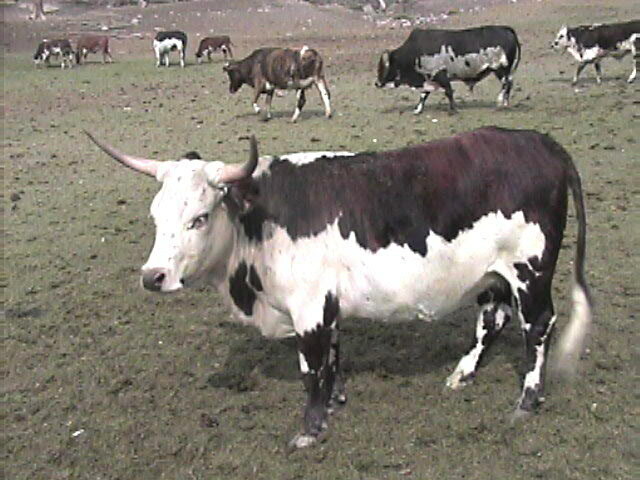 Lipperts Miniature Cattle "Specializing in Mini Zebu and Mini Texas Longhorn, the goal is small cattle with color, and nice horns."